This blog is written by Ariel Norris. Ariel, is a Fall 2018 student from North Greenville College. Editor’s note: This post has been lightly edited. 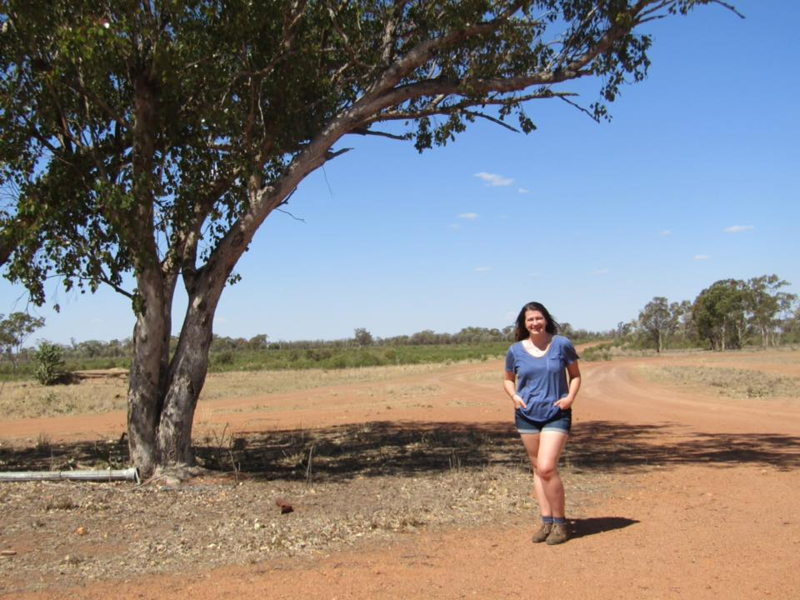 Last semester, when I was deciding where I wanted to study abroad, the fact that ASC offered a trip to the Australian outback was a major draw card for me. Instantly images of kangaroos, red dirt, and scorching sun came to mind and I knew I wanted to be a part of this adventure. Having a whip crackin of a time! Fast forward a few months, I find myself waking at 4am, jumping onto a bus (not entirely sure what direction we were heading) and onto the dusty roads towards the Outback! Though the ASC staff did inform us of what we should basically expect from the trip, I don’t think any of us truly knew what we were getting into. We were told, sleeping arrangements may include sleeping under the stars or in an old barn! To which a mixture of responses came from my fellow classmates! I, for one was thrilled at the prospect of falling asleep beneath a million stars. Others weren’t too sure. 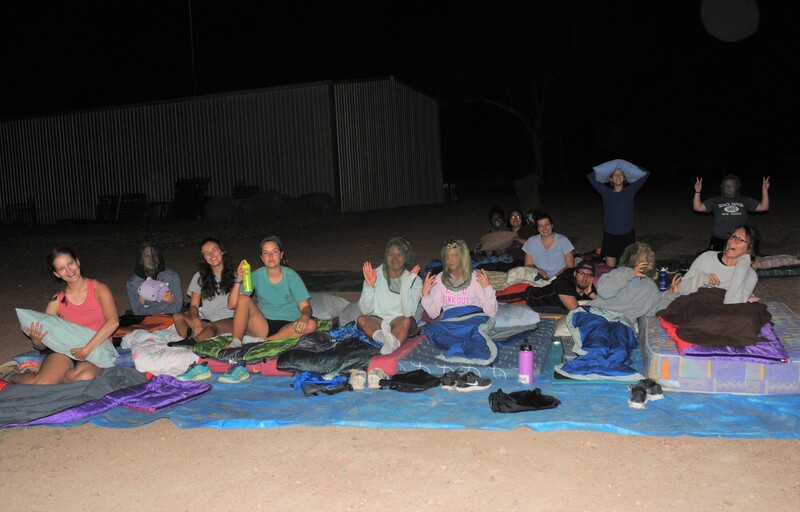 Understandably, the nerves were not about sleeping in the Outback but more who or what they may be sleeping with? I will admit, the idea of waking up to see a king brown (snake) curled up next to me, or a kangaroo looking down at me did cross my mind once or twice. Thankfully, never once did I wake to find anything except the ranch’s dogs, Marley and Devil, snuggled up next to our group! 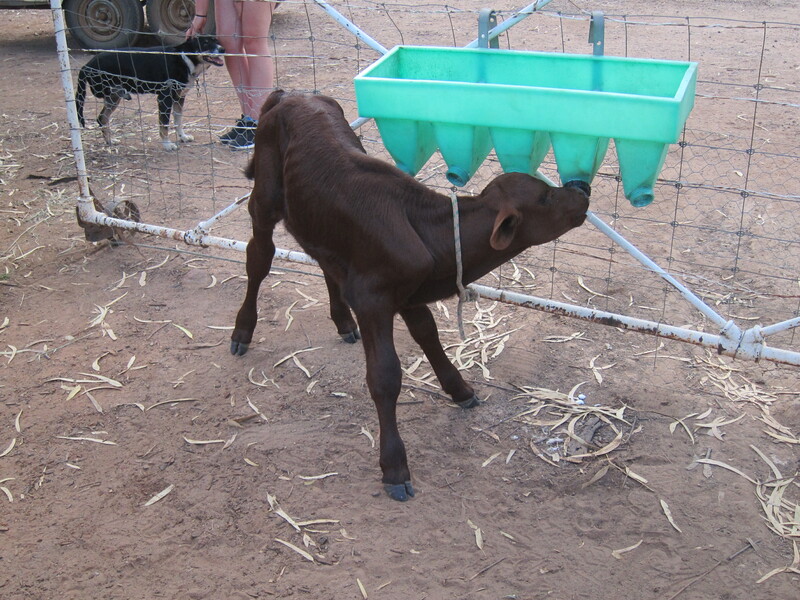 In addition to nerves about the sleeping arrangements, we are invited by the ASC staff partake in a “no shower challenge” to understand what drought stricken farmers constantly battle. I decided I would “Go Hard or Go Home!” with this challenge. You see, it would be easy to come on the Outback trip with the mindset of “we have to do this.” But the experience becomes so much more enriching when we change our mindset from “have to” to “get to”. 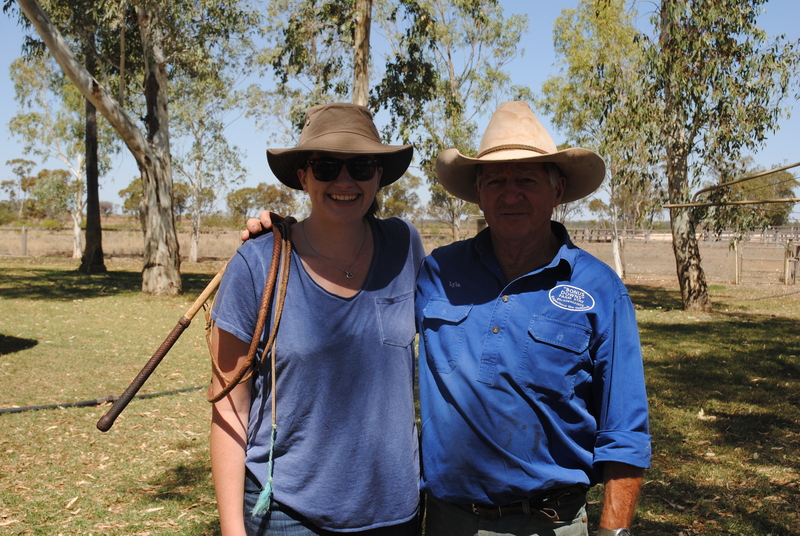 We heard from the ranch owners on how they didn’t choose this lifestyle because of financial gain but chose it because the Outback is part of who they are. Upon reflection, I left behind familiarity of the modern life and jumped into a new reality that I would never have been able to experience outside of the ASC program. 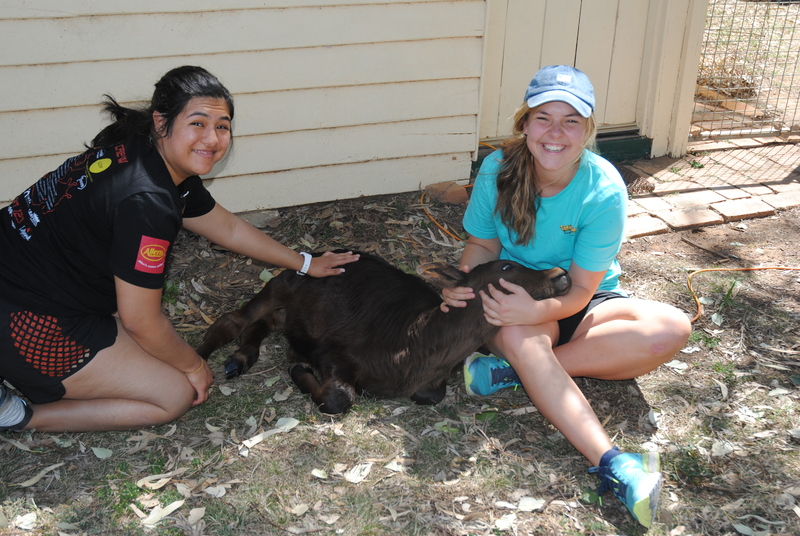 We weren’t just in the Outback to have a good time. 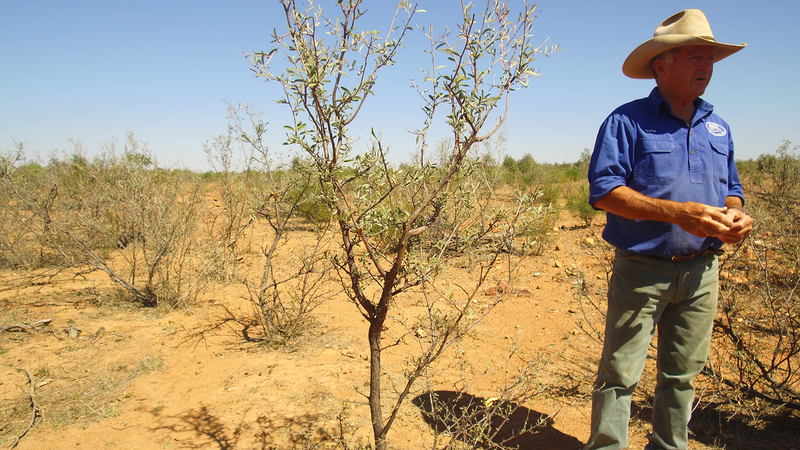 We were there to learn how challenging life can be in this arid sometimes “unforgiving” land. 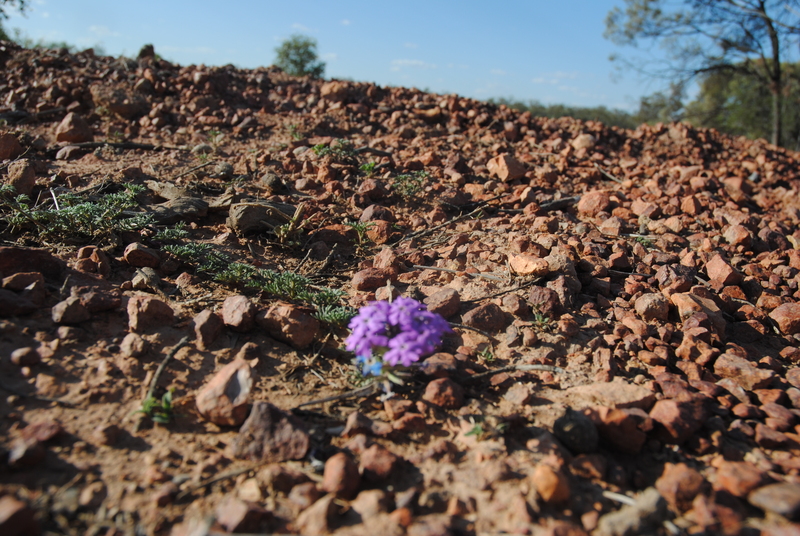 The Outback is harsh, yet it is also full of life and richness if you allow yourself to see it. As I returned home to Brisbane, and gazed across the backyard (bursting with green grass and trees) I realized that even though it wasn’t easy experience, I did it! We did it! Our time spent there, I will never forget! PS. Showering never felt better! This blog is written by Sarah Reed. It comes from her personal blog “Sarah Reed Down Under“. 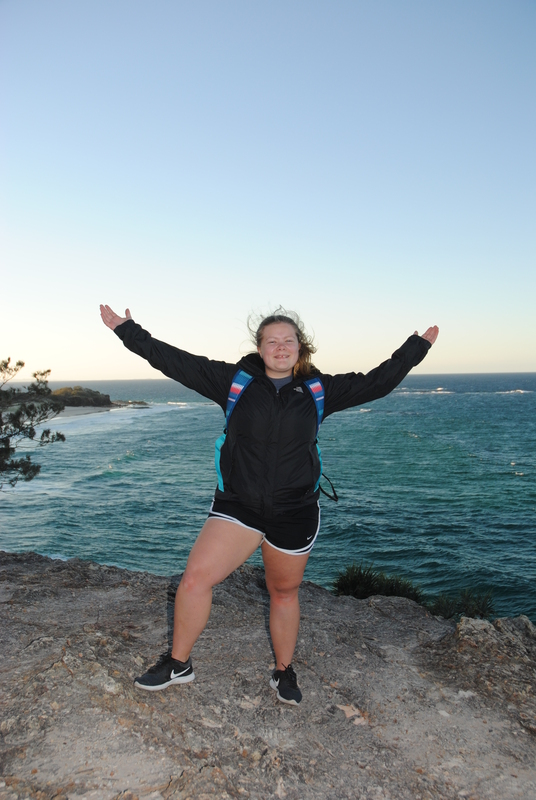 Sarah is a Fall 2018 student from Messiah College. Editor’s note: This post was first published on the 13th of August, 2018 and has been lightly edited. 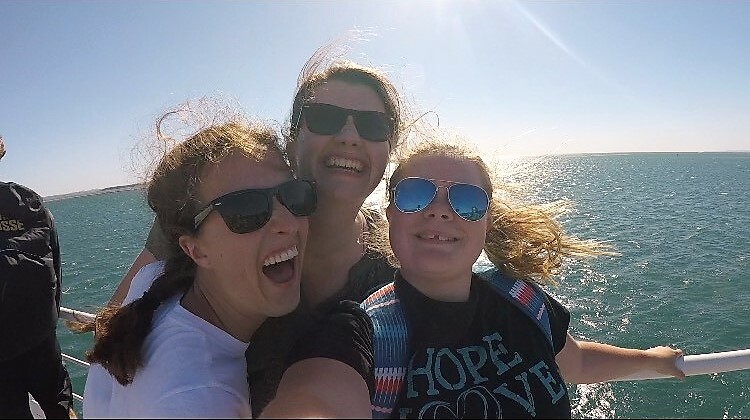 A few weekends ago my classmates and I traveled across Moreton Bay to Stradbroke Island for a weekend with our Indigenous worldviews class. The ferry ride was short yet relaxing and upon arrival we were welcomed with a smoking ceremony to cleanse ourselves. The morning continued with our ears being filled with stories about local customs of the Indigenous people of the area. This was followed by dancing, boomerang and spear throwing! Which was really fun! 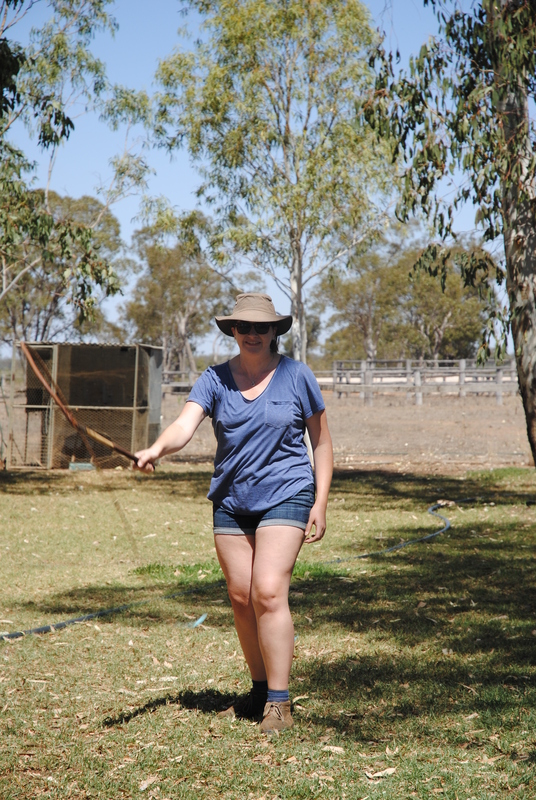 See videos of my boomerang throwing and spear throwing activities. The day finished with a brisk Gorge walk. The scenic trail snaked around cliffs and we were fortunate enough to see whales jumping out of the ocean, sea turtles and other wildlife. 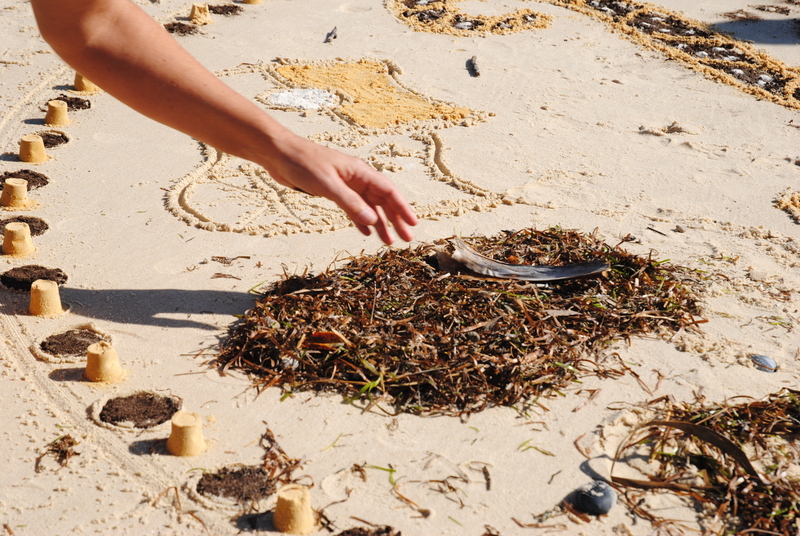 The next day, we worked with artist Craig to create sand art on the beach. Each design unique in their expression! This was followed by a time of worship at Brown Lake (a historical site where local Indigenous women would bring with their children). Now I know this sounds like a nice weekend getaway, but it was much more than that. 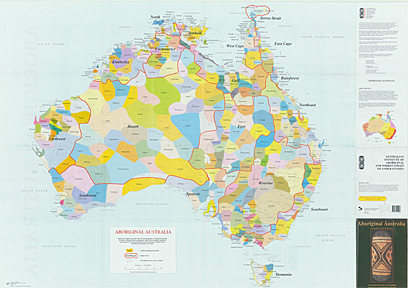 Before coming to Australia, I thought Indigenous people were just an ancient group of people that used to live in Australia, little did I know that I was very wrong. The weekend showed me, this ancient culture is still every much alive! The elders of the community, shared with us the importance of country and showed us ways to utilize plants and the things on the island. We were invited onto sacred grounds which were had been frequented by their ancestors. They also shared with us stories of hardships faced by Aboriginal people today. Over the weekend, not only did I experience Aboriginal culture and history. 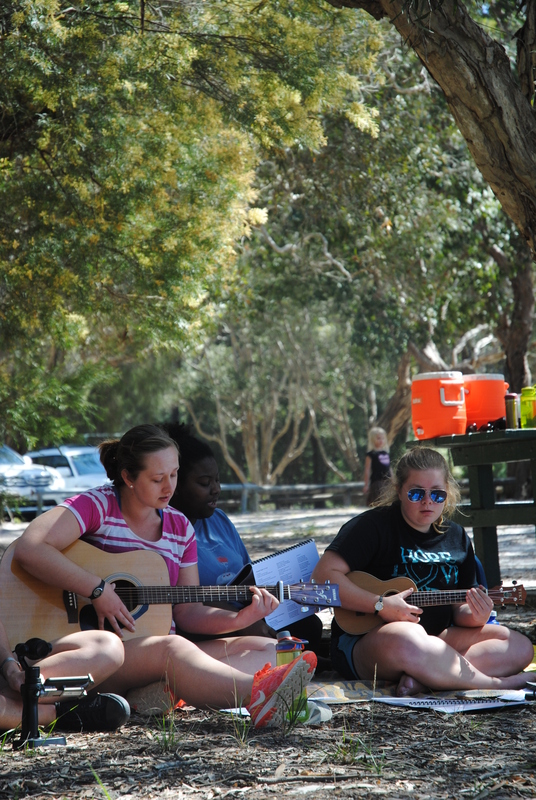 I also learnt how an Aboriginal person can be both Christian and still hold on to their cultural values. I have never experienced anything like this and I will forever hold onto the memories I made this weekend. I think I may have become a sushaholic. The best part about the night, however, wasn’t just eating the sushi. 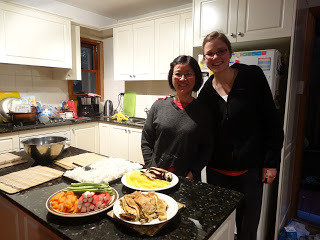 More than that, I felt like I really connected with my host family and started to feel “at home” for the first time. I was able to joke with them, laugh with them, and just be myself. I went to bed feeling very thankful. Saturday started off bright and EARLY. 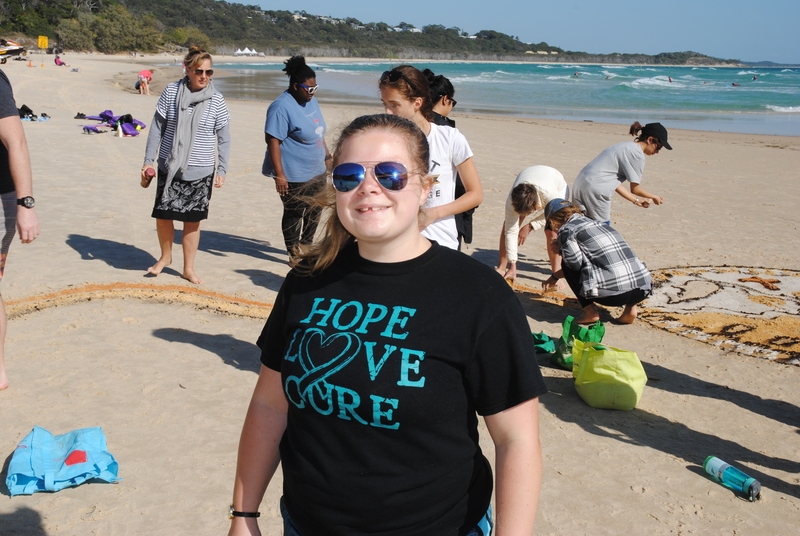 Part of the ASC program is that all participants are required to put in 35 hours of service in a placement of their choosing. I, along with about 7 other ASC students, was placed on the Hillsong Street Team. This is a group of people from Hillsong Church and Hillsong College that go out every Saturday morning to different harder areas of town, knock on doors, and simply build relationships and help in any way they can. If often consists of yard work, but other times is just being good company for people who are often lacking in that area. It was a really neat experience. Most of my group’s time was spent talking with this older woman named Shirley. We didn’t clean her house, preach the Gospel, or bring radical change… we simply sat and enjoyed chatting with her and listening to whatever she had to say. This was a bit of a challenge for me. So many Americans are engrained with the belief that service means doing. I left feeling like I hadn’t actually DONE anything to help. The more I’ve thought about it, however, the more I am finding value in the simple act of being there for Shirley and building a relationship with her… showing her that we care. I think that being on this team will challenge my view of service and teach me that spreading God’s love and light doesn’t necessarily mean serving a meal or handing out Bibles. Saturday had a pretty slam-bang finish. I’m not sure what the occasion was or how often it happens, but we had heard that there was going to be fireworks that night. To sum it up… it was magical. Darling Harbor is one of my favourite spots so far, and seeing it lit up with fireworks was incredible. The icing on the cake was some really good conversations with a couple of girls in the group… some serious bonding, which I’m a huge fan of. Fortunately, whoever misinterpreted the Mayan calendar was wrong. Fortunately, my Monday consisted of landing in Australia. Unfortunately, someone brought an illness aboard and we sat on the plane while quarantine officers searched it. Fortunately, in-flight entertainment was still on and I got to finish a good movie. Unfortunately, I should have slept more on the plane instead of watching movies. Fortunately, I’ll appreciate sleep so much more tonight. Fortunately, I’m back in Australia for another great semester. Unfortunately, the style of old men and short shorts hasn’t gone away. Fortunately, it’s warm enough to wear short shorts. Unfortunately, there’s no snow to make snow angels. Fortunately, that means I have time to help prepare for Semester 1 2013. Unfortunately, there’s a lot yet to be done. Fortunately, we’re energized and ready to make it the Best Semester it can be. Friday brought the second class the ASC students will take during the semester, Indigenous Cultures, History and Identity (of Australia and New Zealand). As a former student I can personally say this class alone, taught by Jennifer Newman, is worth the 15 hour flight. The first session of class opened with a history and overview of the Aboriginal Australians, their language groups and regions. Sitting in on the class I noticed an entranced silence. I have never seen college students so unashamedly riveted for almost 2 hours. This is going to be a great class. The legacy of the Tower of Babel can be felt across the planet. Anyone who has traveled knows this. But even here in Australia, a well-developed former British colony, the clash of cultures can be witnessed. During the Friday’s session the ASC students engaged in an exercise created to embody this phenomenon. Though it has its roots in antiquity (the late ‘70s), the concept of the game still holds true. The class is divided into two groups, each representing two different cultures. The two groups learn the rules associated with their cultures and then take turns visiting. The game is good fun but the discussion afterwards shows that this is about more than a game. This is about how people interact with one another, and the students dove into it wholeheartedly sharing experiences and asking insightful questions of their own. Asking these sorts of questions and critically looking at one’s own culture are key to growing from a semester abroad.